One of the many fabulous things about the French language (the study of which eludes me daily, no matter how much I talk about picking it up again), is that there are so many words that have various different meanings, and some of the slang is just downright funny. 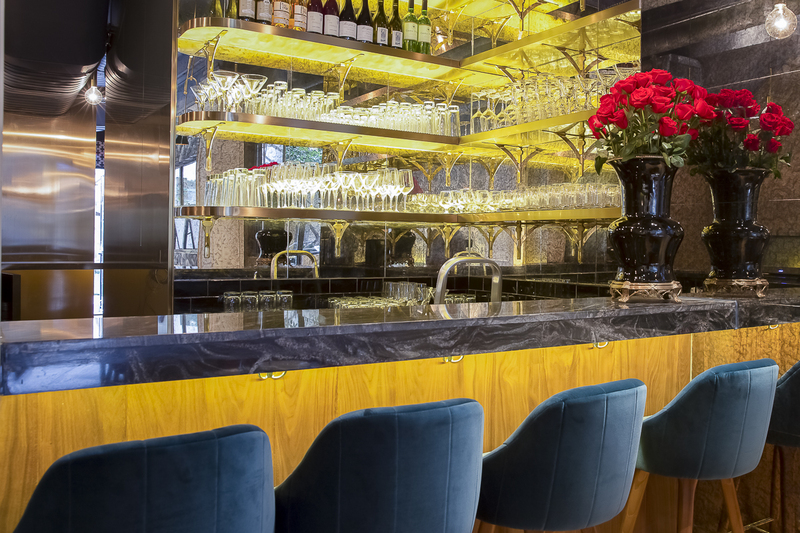 ‘Cocotte’ is one of those new ones that I just learned when I went to this fabulous new French brasserie earlier this week. 1. a small heatproof dish in which individual portions of food can be cooked and served. Love it! I suppose the same thing exists in English where a word can be in one way defined as something to do with food, and yet have another completely different meaning (crumpet for example, or waffle), but it just sounds so much better in French! Cocotte is a new chic French eatery that has opened on my favourite ladder street. It’s located just outside the periphery of the main crowds on Hollywood/Staunton, next to the Cabane a Vin wine cellar and just up from Kushiyaki Beco and On Lot 10. 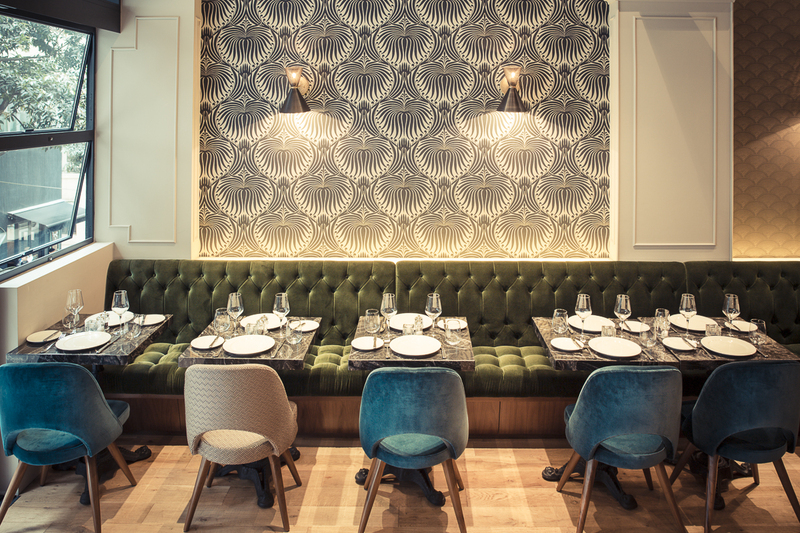 Opened and run by the Moldovan brothers, who hail from Paris but have a love for all things New York, the decor oozes chic-ness. One of the owners is a friend, and it is so interesting to see his personality directly translated into the look and feel of the restaurant. I love the use of luxurious wallpaper, the moss green velvet banquette, the red white and blue mis-matched chairs, the retro lighting, even the dark purples walls in the bathroom. 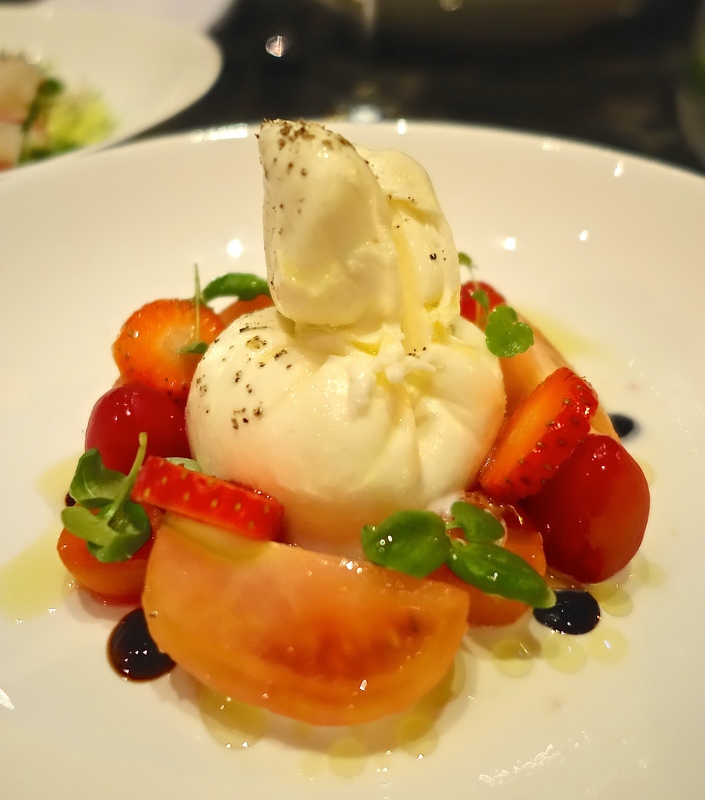 The burrata burst onto the plate upon the slightest touch, and the pairing with strawberries was unusual yet tasty. 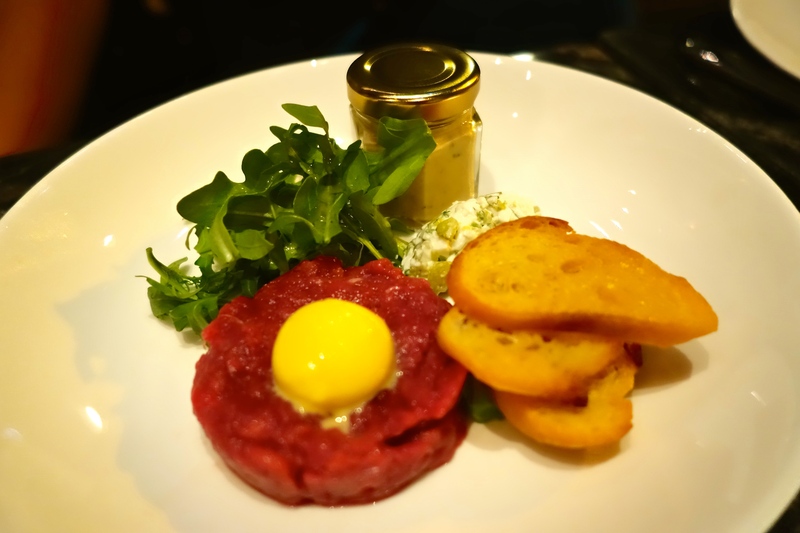 This dish is a thoughtful one – the beef tartare comes with roquefort, which you can choose to mix in or leave on the side (thankfully, for us blue cheese haters). The tartare sauce is served in a separate jar, which I thought was very considerate to the diner – one can choose to add as much or as little of it as they’d like. 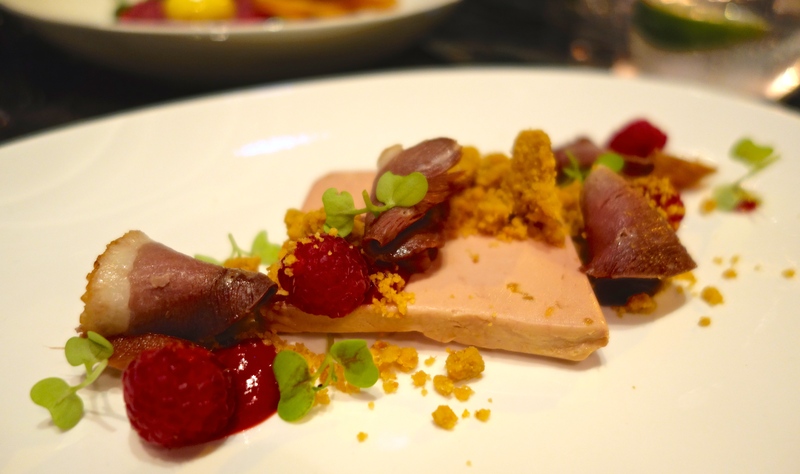 The foie gras is served with smoked duck, raspberries and a sort of cookie crumb. It is not served with any toast or bread (perhaps you’re expected to eat it sans pain), but you can ask for it on the side. Believe it or not, I forgot to take a picture of the ‘Langoustine, Barely Touched’. As the name suggests, the langoustine is just ever so slightly seared, very fresh and light. It is clearly one of their more popular dishes, and when we were told that the kitchen only had 3 servings left, we took them all. 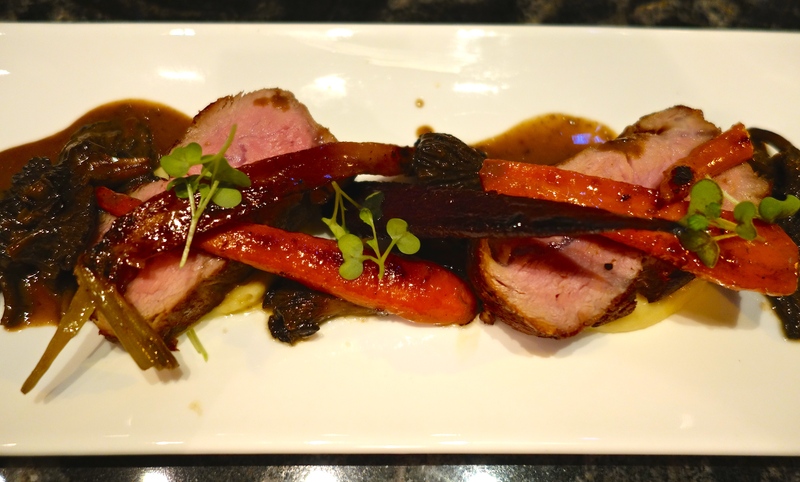 The veal melted in the mouth; moist, with a very subtle taste, and it was perfectly cooked. 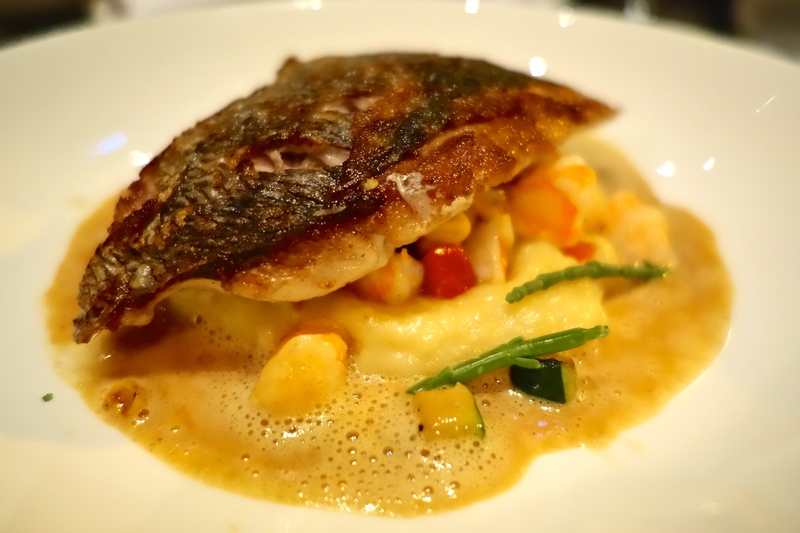 The fish was very well executed, with a lovely creamy potato puree. Stacked on top were vegetables and crisp shrimp, resting on a rich lightly foamed bisque.